Even though Bahamas is far away from India, it is in reality much simple to make parcel delivery to Bahamas using the low-budget shipping to Bahamas services offered by CourierForce.Courier Force works with high class companies to ensure you get first class services. We understand that when you want to send a package to Bahamas, you want your parcel to be as damage free as possible. We choose only the well known courier companies like FedEX, DHL, TNT, UPS which are the some of the tittles you can easily trust. We provide you with online parcel tracking service to trace your parcel to Bahamas, which should help you to get the peace of mind that your parcel is in safe hands. 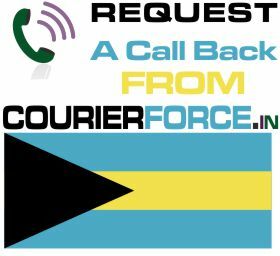 This helps you to be in touch with your parcel throughout its delivery and you can also inform the recipient about the dayWhile you are seeking courier to Bahamas we realize that you won’t wish to invest an income, which is the reason CourierForce offers an array of different, low-cost distribution selections that you can select from. On our list of respectable low cost courier companies are TNT, FedEx, DHL, Aramex. Cheap package delivery to Bahamas will not be complicated and will be easily organised with CourierForce, you will have practically nothing to worry about while mailing a deal halfway worldwide. Prices below are door to door courier rates to Bahamas from India. These charges are cheapest in India for sending courier to Bahamas from India. This is by a courier company which is the best in industry for parcel services to Bahamas. Again, Courier Force is one of the very few companies who have their own network for distributing parcel in Bahamas. It will take anywhere between 3 and 6 working days to deliver your parcel to Bahamas from India. We will be simply collecting the parcel from your business or residence in India and delivering it to your destination address in Bahamas. Duties, taxes and customs charges if any (in Bahamas) will be additional.